Large grinders are powerful machines. After using one the smaller grinders feel underpowered and fragile. Makita designed the 9557PB to break this pattern. 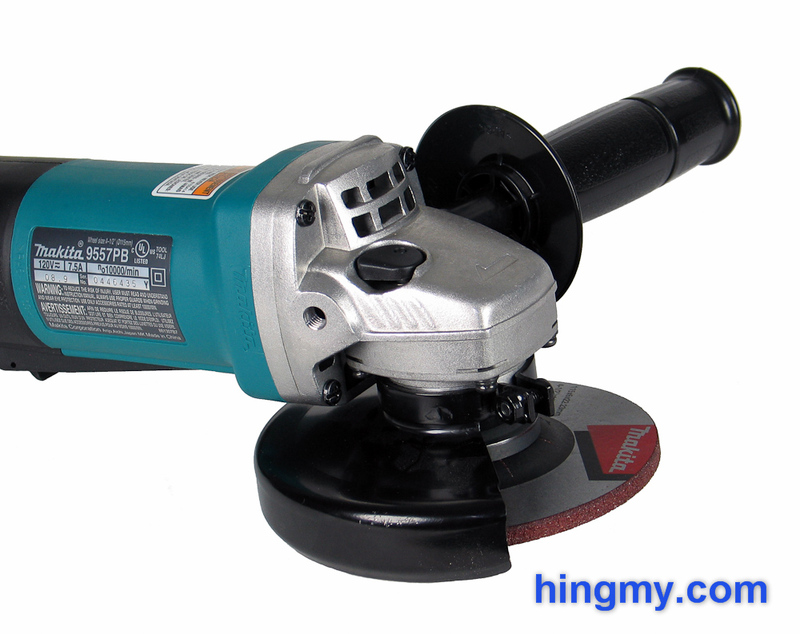 The 9557PB is a small grinder with a large motor. 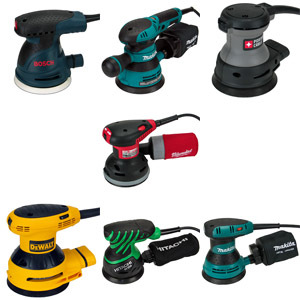 It can do small work with the power and speed provided by a full size grinder. Let's take a look at what the 9557PB brings to the table. 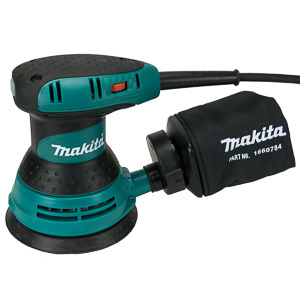 The Makita 9557PB is a small 4 1/2" angle grinder. 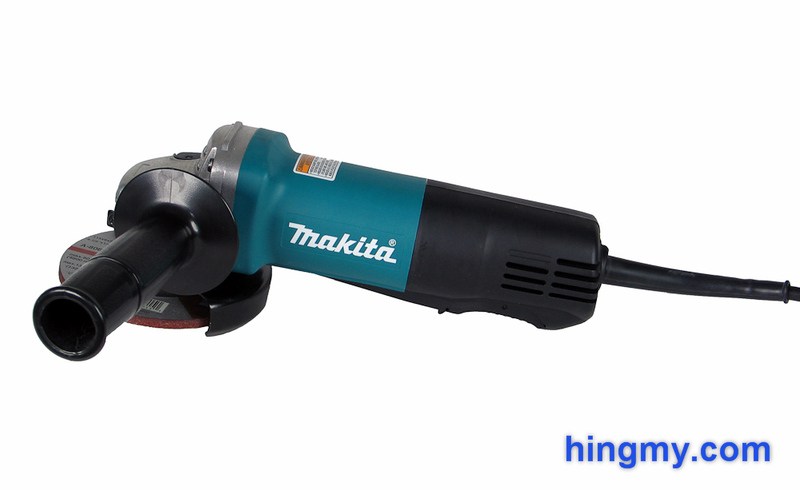 Makita wants the 9557PB to fill in where larger grinders would be too cumbersome. Following the standard design the company married a small metal gearbox to a compact barrel shaped motor housing. 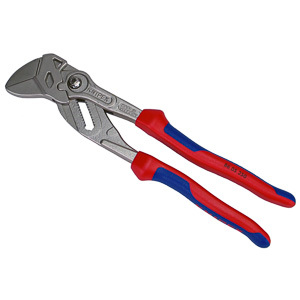 The front handle can be installed on both sides of the tool. 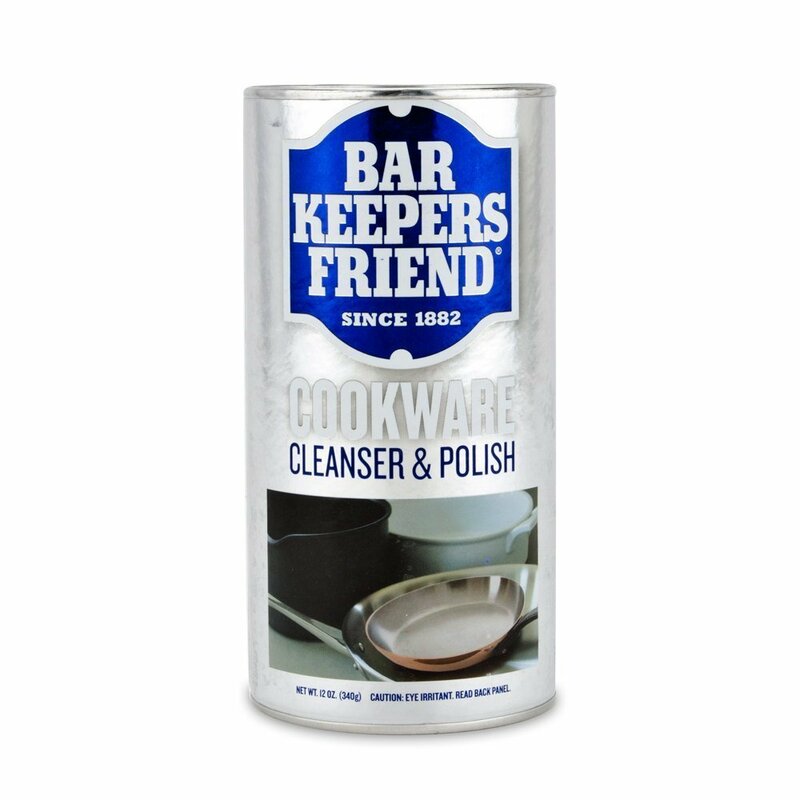 It screws in tightly and affords a good grip. 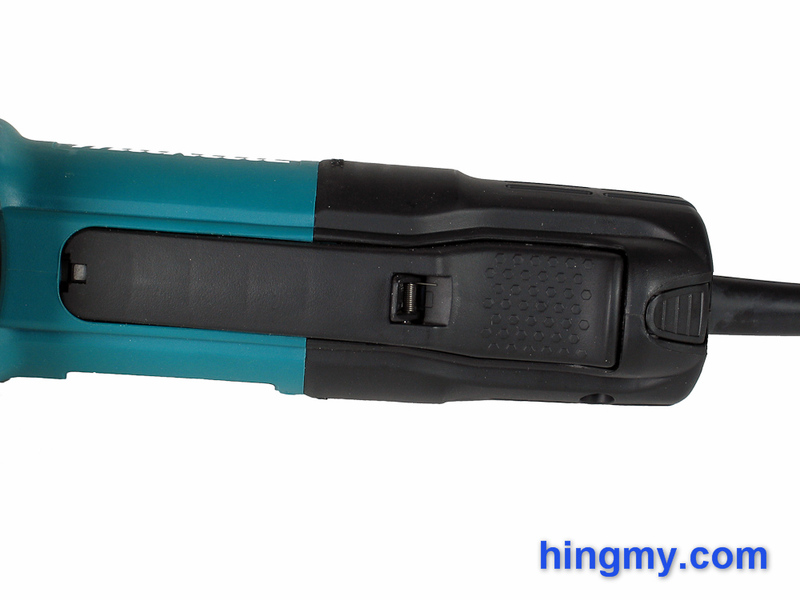 The handle is far enough back to allow good visibility when holding the tool with both hands. The barrel of the tool is made from hard plastic. The gearbox and shaft housing is made from metal. The entire tool feels solid and durable. There are no lose or rattling parts on the body anywhere. All of the components are hard wearing. On the jobsite and at home this tool will last a very long time. 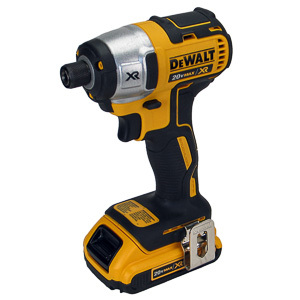 The main power switch of the 9557PB is a large paddle switch built into the barrel of the tool. It is very large and easy to grip. Any one of the fingers of the rear hand can be used to hold the switch down. The paddle has a small guard switch built into the middle. This guard prevents the paddle from engaging when the tool is set down. To turn the tool on the user must pull the guard switch forward to unlock the paddle and then press down on the paddle. The guard switch is so small that it can only be engaged with a single finger. Releasing the guard and turning the tool on in one smooth motion is hard to do. The guard is too small to be engaged by feel only. With some practice the guard feels comfortable, but handling it never becomes seconds nature. The barrel end of the tool contains the lock-on feature. A latch at the end of the body locks the paddle in the on position. When engaged the motor will remain on even if the users hand leaves the paddle switch. Squeezing and releasing the paddle disengages the lock and turns the tool off. The lock-on feature works flawlessly. It takes some time to engage, but once on it disappears from your mind. It is very hard to disengage the lock inadvertently by handling the tool roughly in the paddle area; just as it should be. The blade guard of the 9557PB is made from solid steel. It rotates around its mount and can be locked in every position. The guard has enough room for a 1/2" cutting wheel. The guard connects to the body using a steel compression fitting mounted around the shaft hosing. A single screw locks it into place. Once the screw is tightened, the guard stays in place. The tool can rest on the guard without any fear of the guard moving and the tool slipping. Sparks collection is excellent. The guard catches all particles thrown at the user. Most sparks get ejected at the ends of the guard. Those who do not make it there get ejected to the side, but still in a downward direction. Overall the blade guard of the 9557PB is excellent. 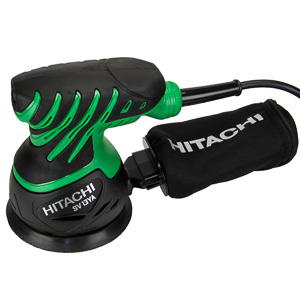 It is as heavy-duty as it can be, and it performs as expected and demanded. Blade changes on the 9557PB are as cumbersome as they are on most angle ringers. The spindle lock button at the top of the gear housing locks the spindle in place. A standard grinder wrench is used to remove the lock nut that holds the blade in place. All of this is easy to complete, but is still as annoying as changing blades on a grinder can be. If you plan on changing cutting wheels frequently, the 9557PB won't perform any better than the competition. 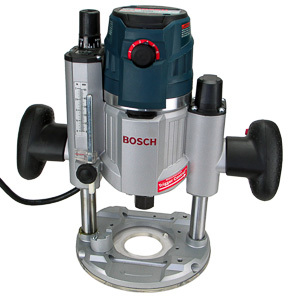 The grinder springs to life with a noticeable amount of torque. The power of the motor is noticeable; even when idling. It is obvious that the 9557PB wants to cut. That's what it has been built for. 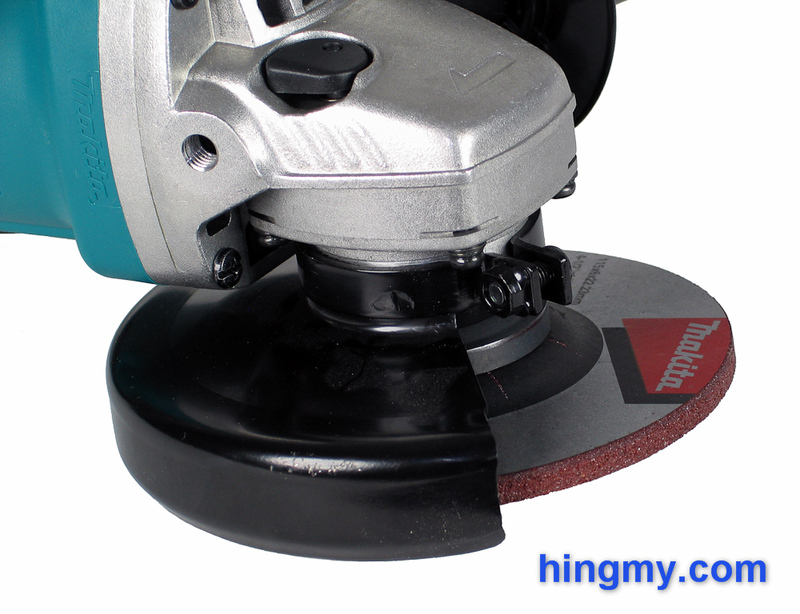 The grinder had not problems making cuts through heavy steel using a 1/4" wide cutting wheel. The motor never slowed down, or showed signs of quitting. I used the tool continuously for 20 minutes cutting up scrap into fine dust. The motor hum never changed during this load test. One handed cuts are not a problem. The grinder runs stable enough to make barrel-hand only cuts possible. 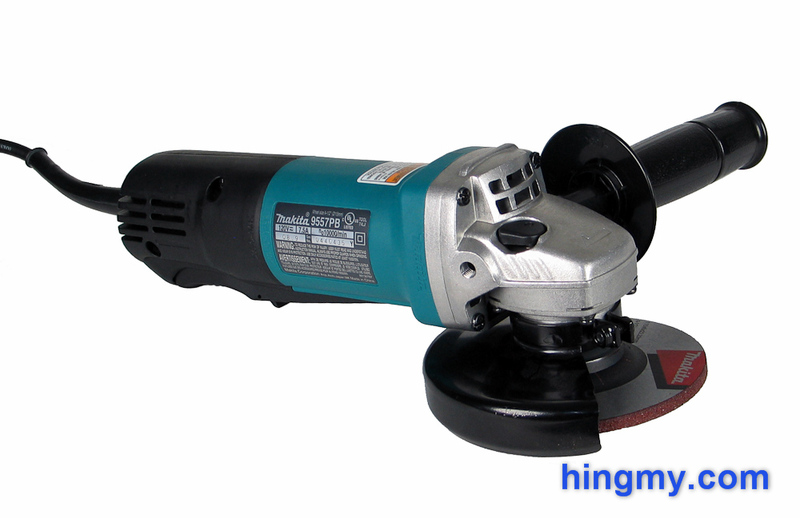 The Makita 9557PB is a very capable small angle grinder. 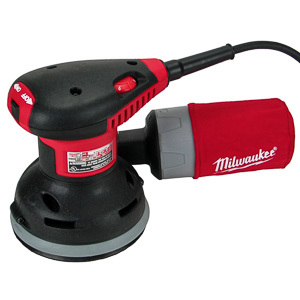 It cuts as well as just about any 4 1/4" grinder, and will outlast a lot of them. Starting with the motor housing down to the solid steel blade guard the 9557PB has been design for a heavy-duty workload. The guard on the paddle switch takes some getting used to, but overall handling of the 9557PB is superb. 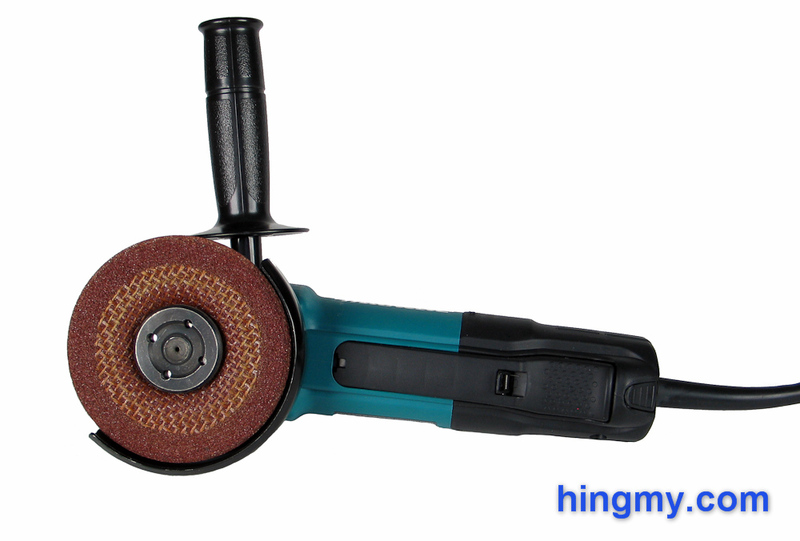 If you are looking for a small, capable grinder the 9557PB might be the tool for you.